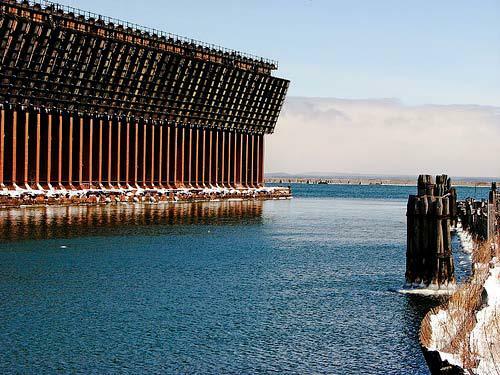 Project was performed at the ore dock located in the Upper Harbor in Marquette, Michigan near the discharge of the Dead River. The ore dock was 1,200 feet long, 75 feet high from water level to base of rails and 54 feet wide on the deck which carries 4 lines of rails. The dock has 100 ore pockets on each side. 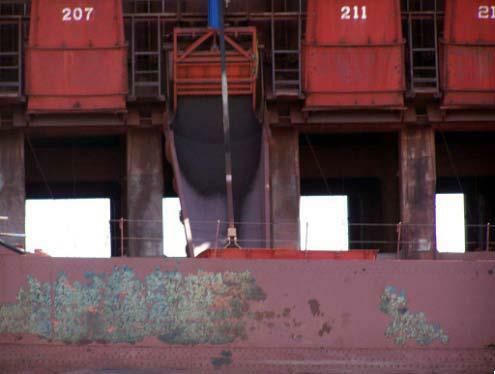 The dock is supported on about 10,000 timber piles having a penetration of about 20 feet into the sandy soil present below the bottom of Lake Superior. IMS replaced 67 of the existing manual operated pocket doors with 67 Guillotine style automated doors. IMS was responsible for retrofit of new doors into existing location, regrinding, precision torch cutting, and field fit welding of new doors into existing structure.